Is the experimental foodie in you craving something new? 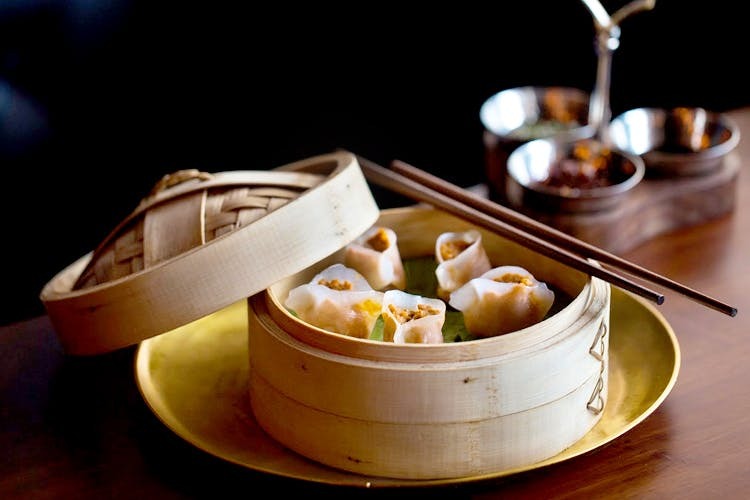 The Urban Foundry’s newly launched branch in Kalyani Nagar has scored high on our must-visit list, with a cool line up of dumplings and dim sums that are inherently Indian, but with a twist. Are you ready for a grand experience? Crispy with Chinese greens, this combination is a vegetarian's delight. A portion is enough to keep you going a while. We say, pair it right with a mojito for a good blend of flavours. Predominantly turmeric flavoured, this one gives off an earthy blend which makes it a lot more fun for prawn lovers. We’d love a glass of that French white wine with this for a simple yet spirited infusion. These pillows look savoury to the tip, bursting with mushroomy goodness. All about rich and distinct flavours, this one seems like a comforting option for an appetiser. Craving some mutton? This one’s a twist on the classic favourite. A popular choice for many, these dumplings are soft yet full of flavour, making it the perfect comfort food. Sounds like the absolute indulgence, doesn't it? While you’re getting that dumpling fix, don’t miss out on their range of quirky cocktails mashups, especially The Qube, Smoke Star or 1804 Asiatic Society. They’re sure to get you groovin' and enjoying an already pleasant evening. We’re definitely bookmarking this place for some warm and steamy goodness, especially during these dreary monsoon days. With a fusion twist to almost everything, you’re going to find many more reasons to pay them a second visit.